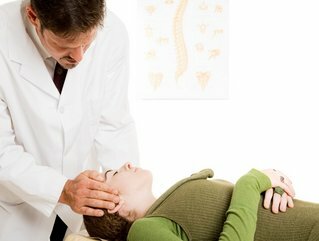 An adjustment is often a pressure from the chiropractor utilizing the hands or an instrument to move a vertebrae back into place. This happens with a quick movement and is often without discomfort. You may hear a noise that sounds like you're cracking your knuckles referred to as joint cavitation. It is the release of gases such as oxygen and nitrogen from the joint. We utilize many adjusting techniques, many of which have little or no "cracking" and are in fact "non-forceful". One such technique called the Impulse I.Q. is demonstrated on the video page of this website.